The Preakness, winning is essential, training is vital within a great facility strategically in the Ocala, FL region. The idea is to be a winner. Just in time for the Preakness, how about Belmont Stakes or Next Year’s Kentucky Derby? Get in early, get on the track. Ocala Horse Country is “The Horse Capital of the World.” The renowned features of Lexington, Kentucky’s horse industry are mirrored here, with the added luxury of year-round training. In fact, at least five Kentucky Derby winners were trained in Ocala. Winning the Preakness is important, training is important. Here are five steps to become champion trainer. The Ocala, Florida area is a prime place to start. 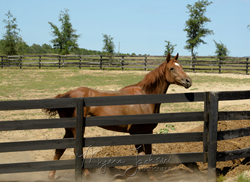 The countryside has many choices and they are close to the race track in the Ocala area. As it stands, it is estimated that "The Williston Mile” will continue to be and is an emerging part of the epicenter in Central Florida’s dynamic horse community. On these 20-acre tracts are the makings of a truly rich and multi-faceted experience. This facility envisions professionals contributing together to the energetic atmosphere of breaking, training and conditioning champions. Here, horses graze on lush Bahia grass, beside a fully maintained track. The track’s starting gate and viewing stand are perfect for exciting competitions. And the serenity of the land is ideal for focused instruction. "The idea is to be a winner” Says Myers Jackson, Florida State Champion Auctioneer and Accredited Auctioneer of Real Estate. “But to win, training is essential” says Jackson. Horse racing is one of the most competitive sports on the planet. The idea of being a part of premier training centers may pave a path to a Championship. Myers Jackson is a TV personality as seen on the DIY Network “Texas Flip and Move.” Myers and his team sells property across the USA land, farms, homes, and rural acreage. Based in Dallas and Ft Worth He works with qualified Real Estate Brokers across the country to sell real and personal property.